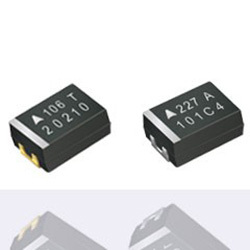 TTI Europe now offers the AVX 175C Tantalum Capacitors for Automotive Industry THJ, conventional tantalum capacitors, deliver the highest endurance, performance stability and proved reliability for the high-temperature automotive applications. Automotive electronics covers a broad range of applications from airbags, cabin entertainment and ABS to underhood applications and autonomous car control systems. Each has different demands depending on their location within the vehicle, as well as different operating needs for temperature, voltage and reliability level.